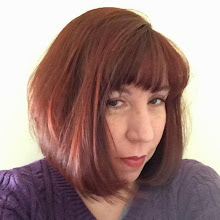 Bitter~Sweet ™: Diabetes Around the World . . . .
I’ve been leading DiabetesSisters Virtual PODS for almost two years now. I love getting together each month to discuss diabetes with women all over the United States. I’ve learned so much from each and every “sister”. It’s been especially interesting to hear some of the different challenges we may face based on where in our country we live. Weather can cause challenges. Urban areas may have different resources than rural areas. Different types of foods may or may not be available. It really gives me something to think about. And when I co-hosted our first Global PODS in February, with Elizabeth from T1International, all of these things got bumped up to the next level. There are challenges faced by women with diabetes in other countries that I have never fathomed. And still, we also have so much in common, which is a comforting and uniting circumstance. So I am very excited to co-host our second Global PODS tomorrow. I can’t wait to reconnect with some of the women from around the world that I (virtually) met last time and get to know some new attendees. We’ll be discussing access, comparing and contrasting pressing access issues in each of our countries and brainstorming for possible solutions. I will be,, oh wait, well I guess wont, never mind. But, I did referr your blog to the TUDiabetes.org blog page for the week of July 25, 2016. Oh I wish I could be there .. it sounds like my cuppa tea .. and love hearing others from outside of North America talk about how diabetes is handled in their part of urban bgs blue marble. Will we be able to view / read what transpires afterwards Karen? Sorry, Anna, but we have a confidentiality policy that doesn't allow anything we discuss to leave the meeting. But hopefully you'll be able to join us for our next one - we are hoping to do them quarterly. Hi Karen, I'd love to join the virtual PODS, as I live on Maui. 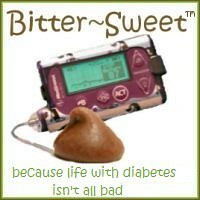 I looked on the Diabetes Sisters site and there wasn't much info there. How do I connect with you? Thank you! Glad to read your wonderful post. Today, diabetes becomes global burning issue, many researchers are working on diabetes for better cure against diabetes. Since today women are almost victim of diabetes and spreading globally. I am really glad to know, you also want to make conscious about diabetes.